UPDATE: I found the repository (www.mediafire.com/folder/8ar1jhh1809cl/R...sitory#bow1ko4203njp) but cannot get the 3.0.#s to work. They fail at the "...download a collection of standard effects" stage. Even if I click "No" at that point and retain the effects I already have (from 4.0+), the ReShade screen doesn't load any effects in-game. Is it possible to either get the old version to work, or figure out why DOF doesn't work in ESO in 4.0+? 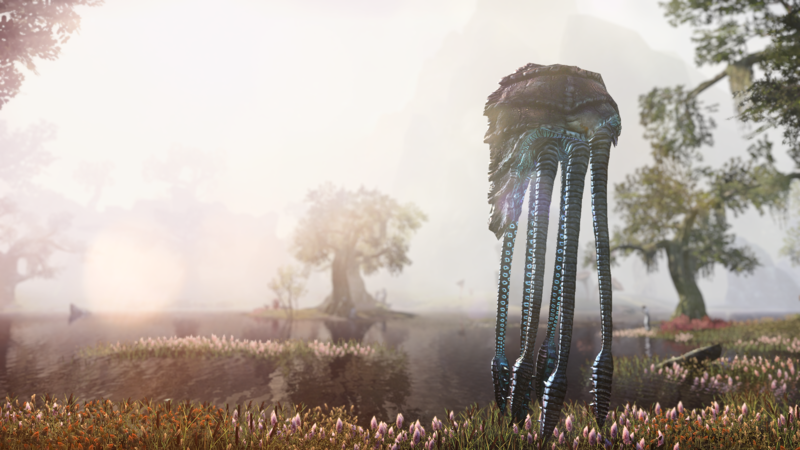 ReShade 3.0.7 is apparently the last version in which DOF (depth of field) works properly in ESO (Elder Scrolls Online). I can't achieve any DOF effect at all with any of the settings in newer versions. Wondering about this for months now and saw that others on various forums have had trouble as well. Found just a few posts that mentioned the version as a clue. I'd like to try 3.0.7 but am not sure where to find a legit download. You must use this reshade-shaders files when use the Reshade older than 4.0. I already tested 3.1.0 about if DoF works properly. Last Edit: 3 weeks 4 days ago by seri14. I'll try this, thank you!